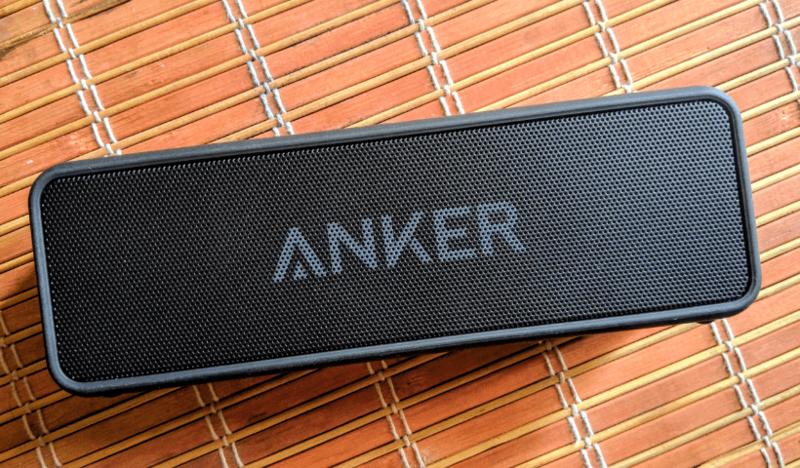 Did you know about Anker’s Soundcore 2? It comes closer than the largest Bluetooth speakers I’ve heard. It has unbelievable well-balanced sound with BassUp technology. additionally, Soundcore 2 is waterproof and it has 24 hours playtime. Pretty much its cost around $39! I used the Anker Soundcore 2 speaker for 6 months. It works perfectly until today without any errors and it’s easy to use when we traveling or going somewhere. Really, Soundcore 2 is incredible. It has been designed in a good condition so that it can be used indoors and outdoors. Size (6.6 x 1.9 x 2.2 inches) can be placed anywhere you need at music. Likely suitable for, family outdoor parties, play music at home, and additionally, you can be used in your car etc. Stereo Sound and Bass: Soundcore 2 has two speakers (Audio Output:6W x 2) and pure well-balanced sounds. But bass is super enough for me at home playing. I think that depends on each other own and however, it worth for the money we pay for it. Playtime: You can play music up to 24 Hours. No worries about the Anker’s battery, it has a 5200mAh Li-ion battery and can deliver full day. The charging time is nearly 3 hours. Bluetooth Range: Works within 66 ft range and Bluetooth version is V4.2. Waterproof: Soundcore 2 has a waterproof rating as IPX5 against rain, dust, snow, and spills. Soundcore 2 has a very strong pairing with Bluetooth version V4.2. You can connect your mobile within less than 10 seconds. First, you have to hold on power button for 2-3 seconds until powered up with “fuushed” sound. Turn on your mobile’s Bluetooth after blue light blinks on Soundcore 2. If your mobile successfully connected, You can hear “beep” sound from Soundcore 2. Then Play music what you want! It has simple controls on top of the speaker that can handle everyone easily. Both mobile and speaker can control music volume, play-pause, skip forward options. Simply you can talk to Siri, Google Assistant or other assistant press and hold on the play button (▷) for a few seconds. But you have to closer to your mobile. Press ▷ * 1 and hold for 1 second to transfer call between speaker and mobile after the answer call. Just Amazon sells this product under Amazon’s Choice. Also, you can buy the product in choosing color BLACK, RED or BLUE.